Paris Je t'aime! 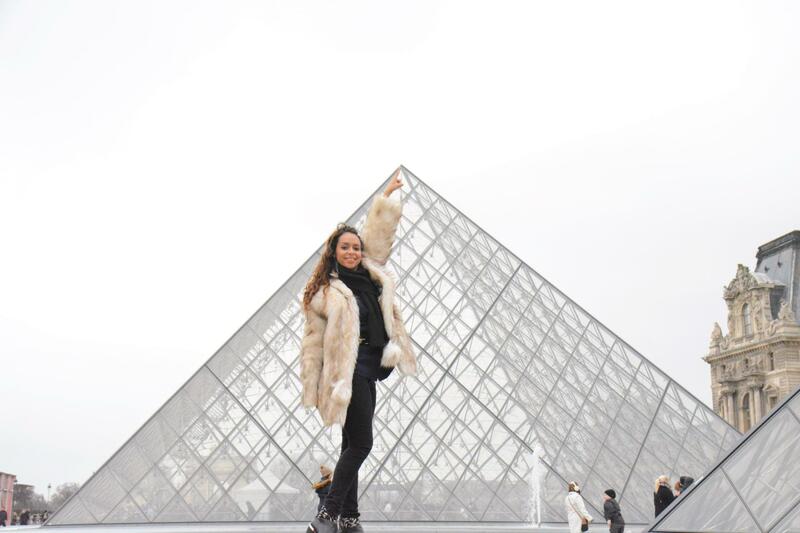 From the Louvre to the Eiffel Tower. From the Sacré-coeur to the Notre Dame. Here are my favorite places in the city of love. From the Louvre to the Eiffel Tower and the Sacré-coeur to the Notre Dame. Whether you want to spend your time on sightseeing or spend it on shopping, there’s something to do in Paris for everyone! I’ve been lucky enough to travel to Paris several times and each time I’m there, I discover something new. 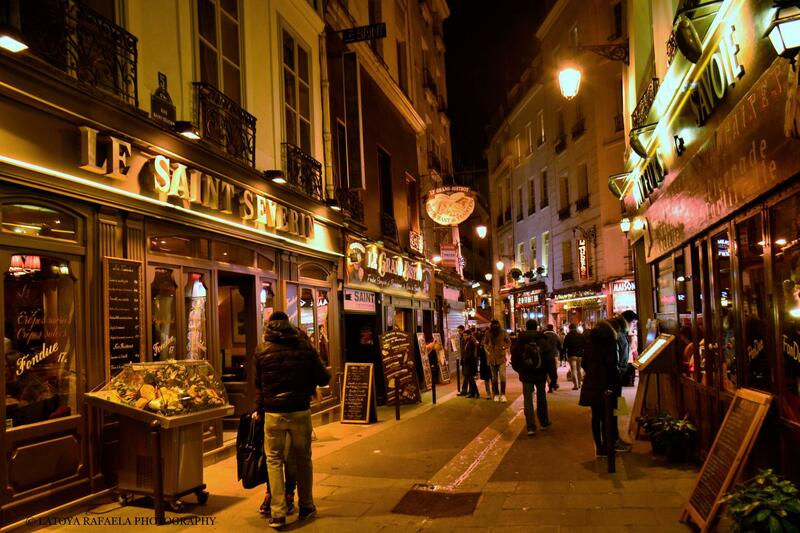 I’d love to show you a few of my favorite places in this magical city, The city of love. 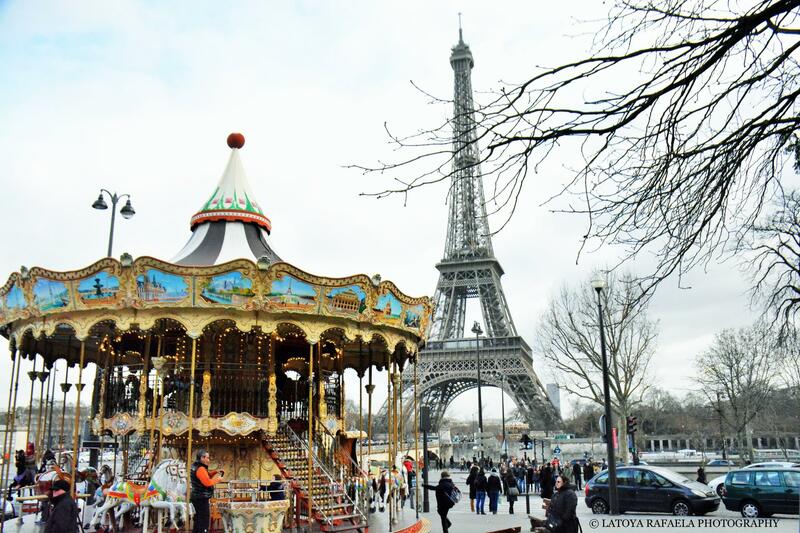 A long weekend or a mid-week in Paris should be enough to see the main attractions or have a little romantic getaway. Paris is a big city and traveling around with public transport will be necessary. There for I would recommend you to buy a “Paris Visite Pass” for unlimited traveling in and around the city. There are many wonderful hotels in Paris. From comfortable budget hotels to luxurious 5 star hotels. My advice is to pick a hotel somewhere in the middle, but in a really good neighborhood like, Le Marais. 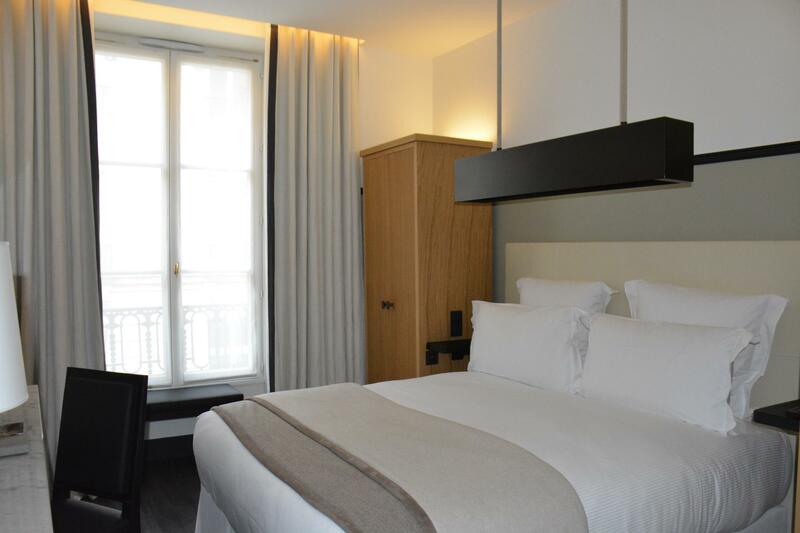 A beautiful boutique hotel in the heart of the Paris Opera Area. 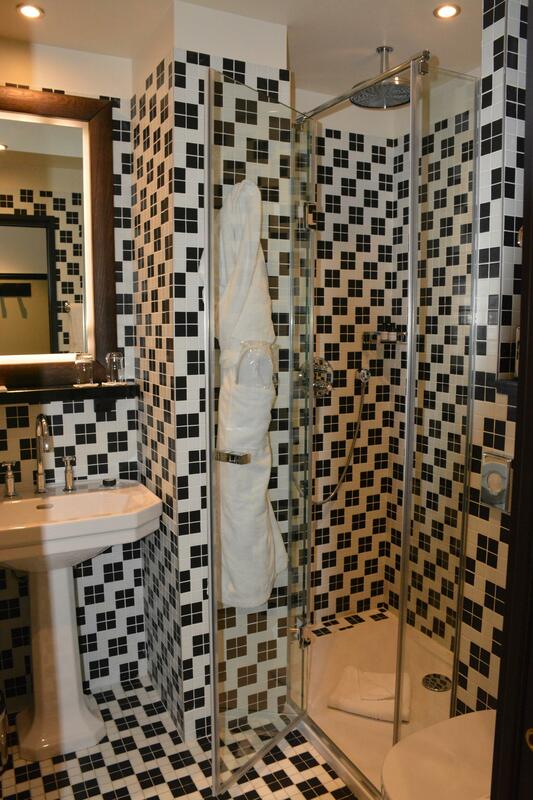 Modern and clean rooms, friendly staff, good breakfast and a great bar with lovely cocktails. The underground with easy access throughout all of Paris, is less than 300 meters away and great bars and restaurants are just around the corner. The Chess Hotel is also perfectly located for all the shopaholics! Many great shops are right around the corner and Galeries Lafayette is only 150 meters away from your front door. It can’t get much better than that! Start your morning with a lovely breakfast at the Montmartre. Many little cafes and restaurants are situated around the market where artists are getting ready to paint and draw some art for you. It’s a beautiful area that feels completely different to every other part of Paris. The mornings are a good time to wander around this picturesque neighborhood, cause it won’t be as crowded yet. 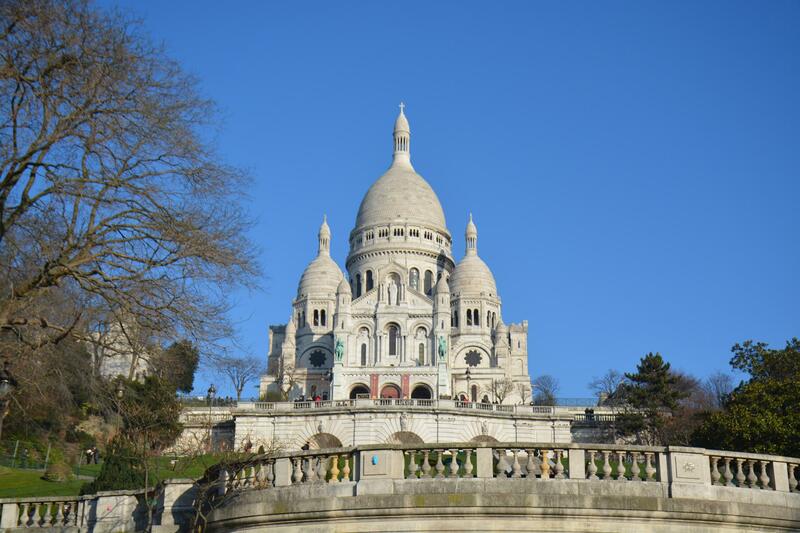 Of course a stop at the Sacré-Coeur should not be forgotten. 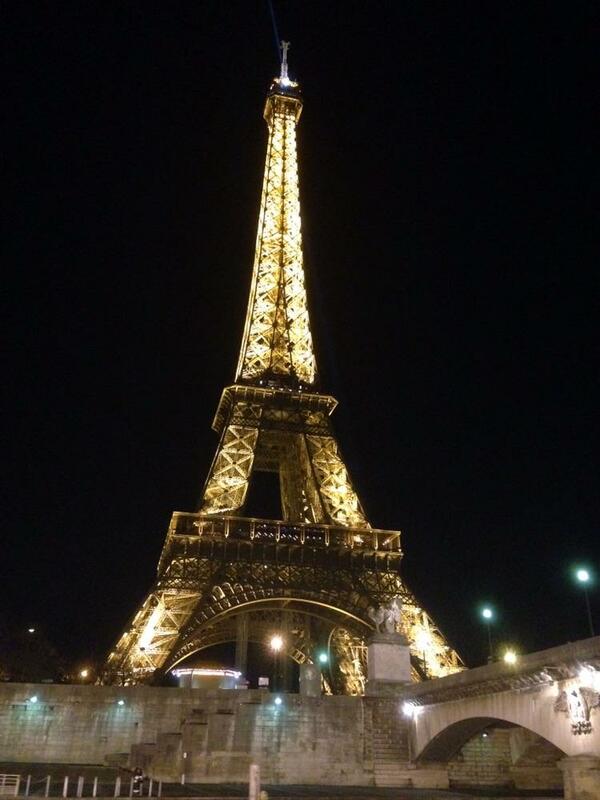 You have not really been to Paris if you haven’t visited the Eiffel tower. The easiest way to get there is to take the underground to Trocadero. From there you have the best view of the Eiffel tower. Once you’ve taken your photo’s you can make your way towards the impressive 300 meters high monument. Of course you have to take the elevator up, for a beautiful view over Paris. Make sure you buy your tickets in advance to prevent standing in line. 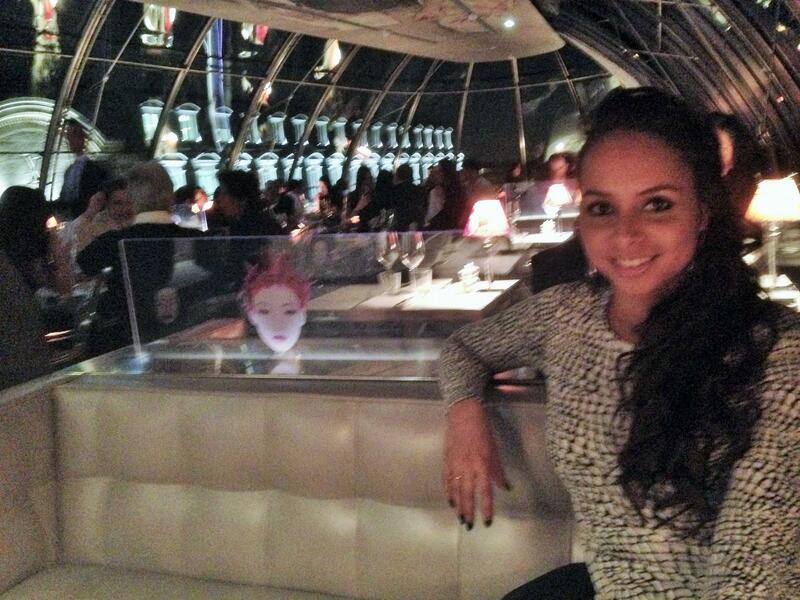 tip: Restaurant 58 tour Eiffel, on the 1st floor in the Eiffel tower is a great place to have lunch or dinner. Great cuisine and a beautiful view. Don’t forget to book your table in advance! The medieval Catholic cathedral Notre-Dame is probably one of the largest and most well-known church-buildings in the world and should definitely be crossed off of your list of places to see. 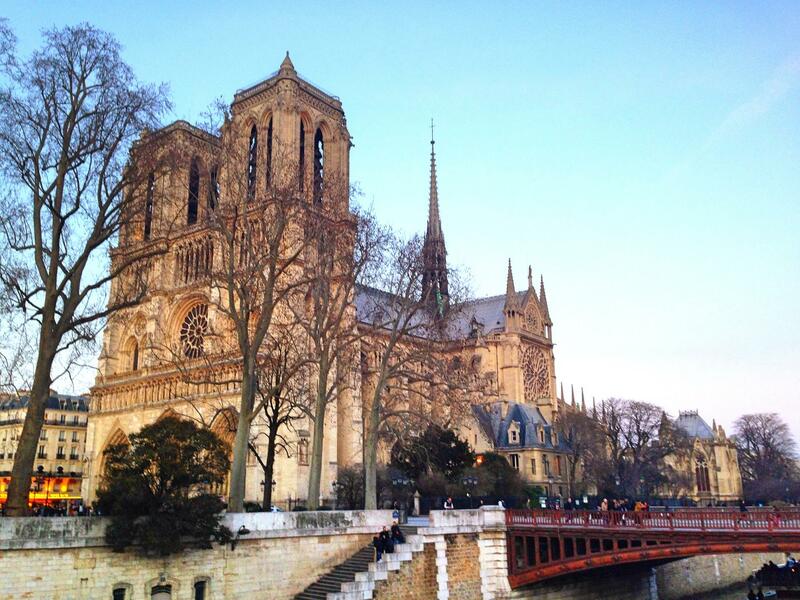 Combine a visit of the cathedral with a walk through the Quartier Latin. A lot of lovely bars and restaurants can be found in this area. Even when you have no interest in art what so ever, you must have been to the Louvre. The building alone is impressive to say the least, but you should really take some time to spend a morning in this maze called a museum. From the Mona Lisa to old Egyptian tombs. From the famous Dutch painters to the brilliant Italian sculptors. Every time period has their own place in the 60.000 m2 large museum. You need more than a few days to see everything but a few hours will give you a feel of what beautiful art has been created over the years. Tip: After a tour through the paintings and sculptures, you can spend some time shopping in the shops below the museum. In the afternoon and evening you can take a boat trip over the over Seine. The boats leave every 30 minutes from Pont Neuf. 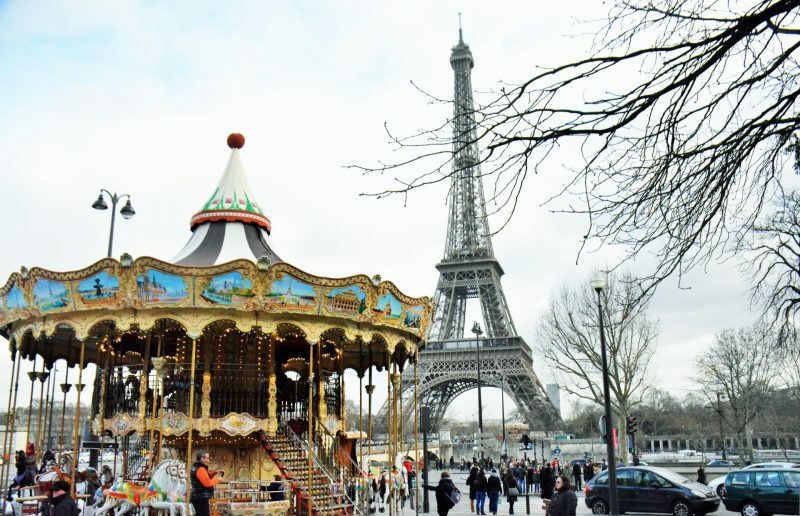 It’s a beautiful way to enjoy Paris and do some sightseeing in a different way. Also it’s a nice moment to rest your feet after a long day of walking. 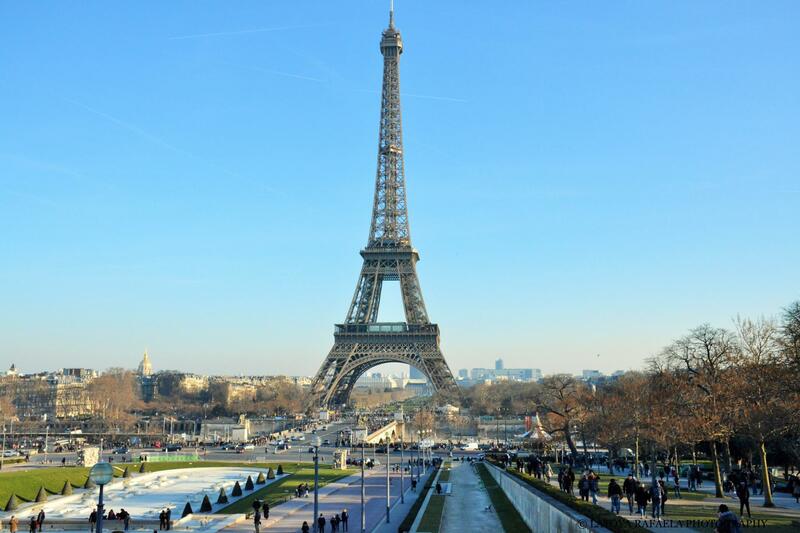 During the boat trip you will pass places like, the Notre Dame and the Eiffel tower. It’s just outside Paris but definitely worth traveling for: Chateau Versailles. The palace, the gardens and the park of the Chateau Versailles are spread over 800 hectares. 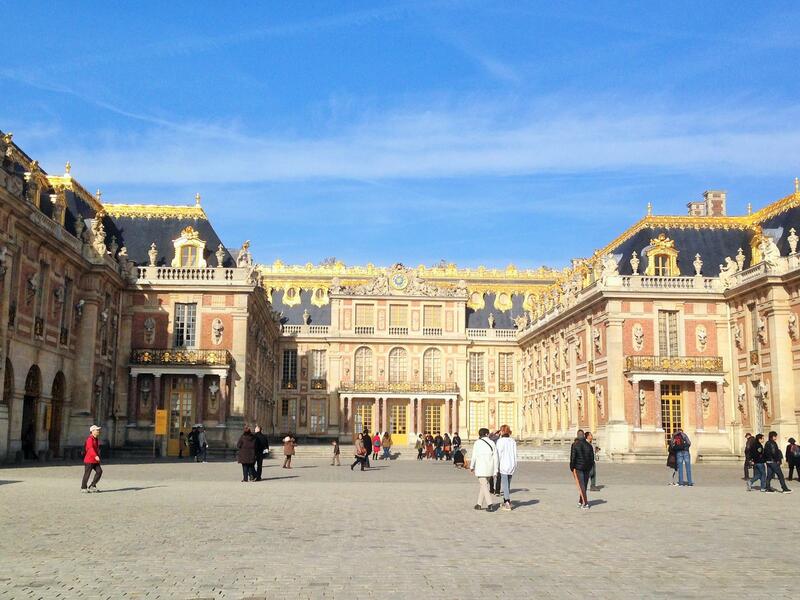 With your Paris Visite pass you can travel to Versailles in less than 60 minutes by train and not pay anything extra. Paris is one of the fashion capitals in the world, so a little bit of shopping is a necessity! Probably one of the most famous department stores and definitely one of the most beautiful ones in the world. Gallerie Lafayette is not only a shopping Paradise but also a beautiful building itself. All high street labels are available in Gallerie Lafayette, but you can also buy your high-end designer labels here. Don’t forget to visit the shoe department downstairs. With 3000m2 it’s the largest shoe section in the world! The Champs Elysees also known as “La plus belle Avenue du monde” (the most beautiful avenue in the world) is a very prestigeous avenue with many luxurious shops, bars and restaurants. The avenue crosses the Arc the Triomphe, a monument you should make a quick stop in between shopping. 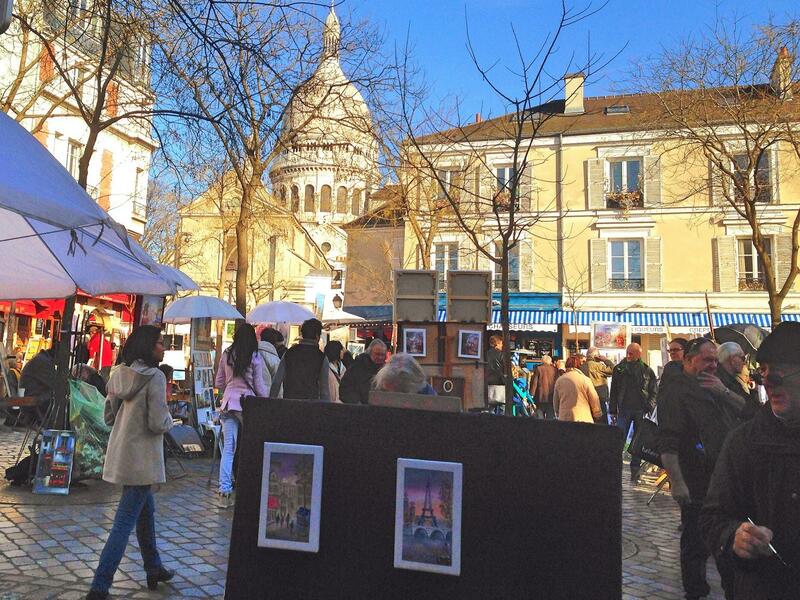 Le Marais is probably the best area in Paris to shop. 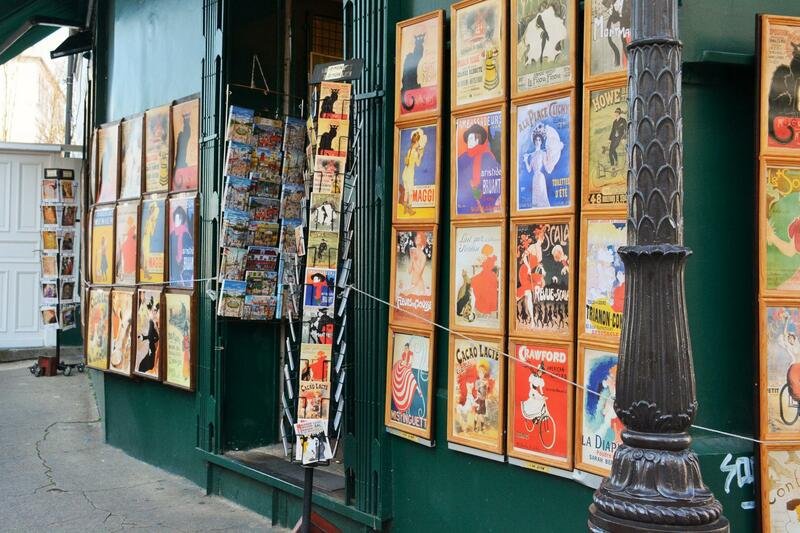 Boutique shops, vintage shops and designer shops, all of it can be found in Le Marais. You could easily spend a full day of shopping here! But don’t worry, there are lots of great bars and restaurants around where you can stop in between to rest your arms from carrying all your shopping bags. There are so many great restaurants to choose from, but a few that I thought were really worth to pass on to others. 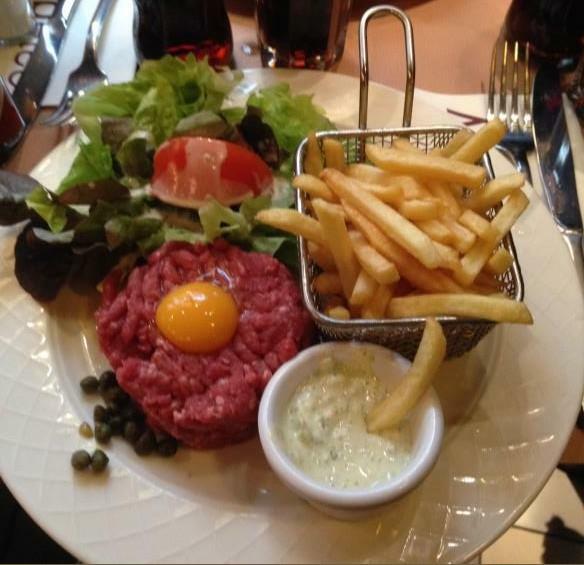 Right behind Gallerie Lafayette, you find this small café where you can enjoy a lovely and affordable lunch. Perfect for a little break in between shopping. The staff is friendly and the food is great. I’d recommend the Steak tartar. This bar/restaurant with a stunning indoor rooftop terrace is a place to see and be seen. Enjoy the magnificent view of the Seine while drinking a wonderful cocktail. Taste your south-east Asian inspired cuisine, while checking out the sophisticated guests that arrive to this stunning venue. Kong might be pricey, but the food is great, drinks are wonderful and the experience is very sophisticated. Make sure you book a table in advance! 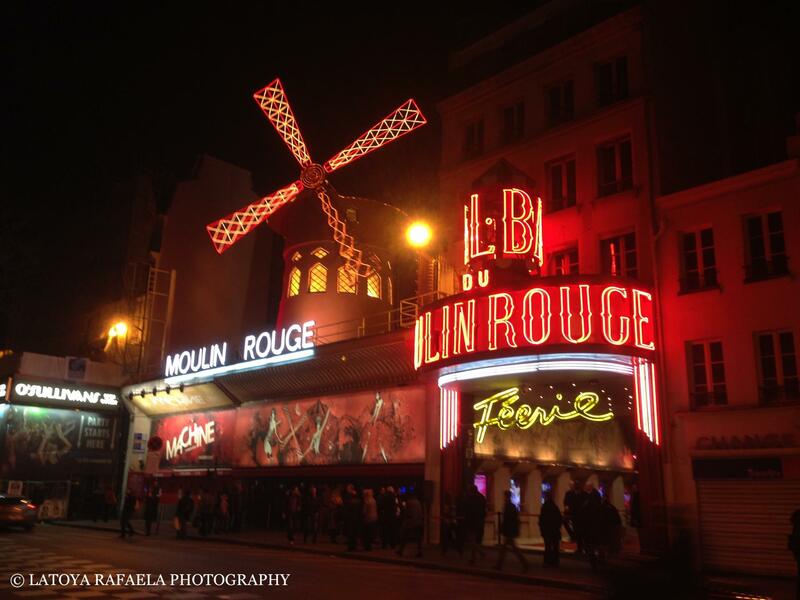 The famous Moulin Rouge is a place you have to have been to at least once in your life. Enjoy a lovely dinner and a bottle of champagne while watching the wonderful variety show of the Moulin Rouge. Beautiful tall show girls will dance around in their glamorous outfits and of course the famous Cancan will appear during the show as well. 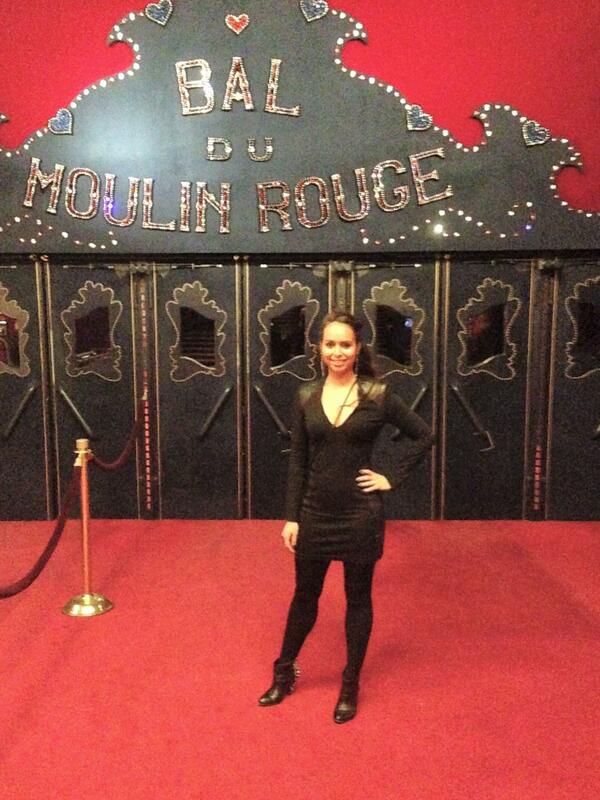 A night at the Moulin Rouge is not cheap but definitely worth the experience! Tickets for the show and the dinner should be booked in advance. There’s a lot more to see in paris. Honestly I could go on and on about how wonderful this city really is but in the end you should go and experience Paris yourself. They call it the city of love for a reason and I have definitely fallen in love with this city. I’m not afraid to admit it: Paris je’taime!!! Follow my monthly travel blog on Essere Moda or on my website. I’m heading to Paris this summer and cannot wait to try some of these things! Have fun in Paris, hope you’ll love it as much as I do! When will you visit Paris?